Digital Extremes has announced that Warframe will only be a PlayStation 4 exclusive for a limited time. 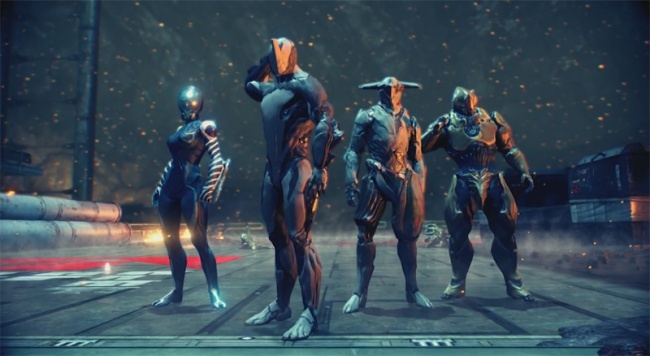 Developer Digital Extremes has confirmed the launch date for their free-to-play co-op-centric space ninja title Warframe on the PlayStation 4 and they’ve also hinted that they plan to release the game on other consoles as well. PlayStation 4 players will be able to boot up and play Warframe straight out of the console’s launch on November 15th (November 29th in Europe). The game has been optimized to take advantage of the PS4’s hardware, offering integrated audio and touchpad controls through the Dual Shock 4 controller, in-game streaming through Twitch and UStream, and more streamlined clan and community-building thanks to the console’s built-in social features. Even better, it looks like PS4 players won’t be the only ones who’ll be able to embark on console-based space ninja adventures. Digital Extremes has also revealed that Warframe will be a PlayStation 4 exclusive at launch, but only for the first three months after release. While the developer didn’t disclose any specific details, it wouldn’t be too far-fetched to imagine they have plans to port Warframe over to the Xbox One (and perhaps even other consoles) after the initial three-month period is over. Warframe is already available for the PC and has been met with an overwhelming amount of critical acclaim. It has quickly become one of the most anticipated F2P launch titles for the PS4 and now it looks like non-PlayStation players will be able to get in on the action as well early next year.